Easter is a special time for everybody. It is a time for joy, for hope, for celebration and that is exactly how we are going to be spending this Easter Sunday the 5th April 2015. We are inviting YOU, the friends of Camphill, to join us and experience Easter at Camphill. This is a perfect opportunity to spend the day in community with your loved ones enjoying the best of what Camphill has to offer (so invite them along). We will be having an open gathering at 9:00am in the Camphill Chapel for those of you who wish to join, our Market will start at 10:00am; and an Easter Egg hunt from 12:30pm. Come and join in the experience, enjoy the sights, tastes and goodies from our country market. Bring a picnic blanket and laze in the shade with a book, pack a picnic and buy our fresh crusty breads and organic cheeses to go with it. Our braai facilities will also be opened to the public on that day, and of course you can buy healthy lunches and decadent cakes from our Bayleaf Café. There are plenty of activities for young and old alike, along with ample safe parking and loads of space. 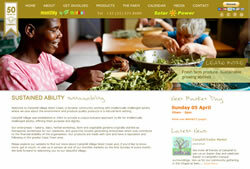 On Wednesday evening, 25th of March, the residents all gathered at the Bayleaf Café to enjoy a communal supper. The room was packed with residents, house leaders and young co-workers all sharing soup, curry and tea. We were all eagerly anticipating watching ourselves on Kwela, only to discover that load-shedding had just begun and there would be no electricity for the next 2.5 hours. As the evening darkened, warm smiles and faint silhouettes were to be seen gathered around the candles we had dotted around. Even though we were without power, there was electricity in the air and anticipation of the main event in the evening’s proceedings. 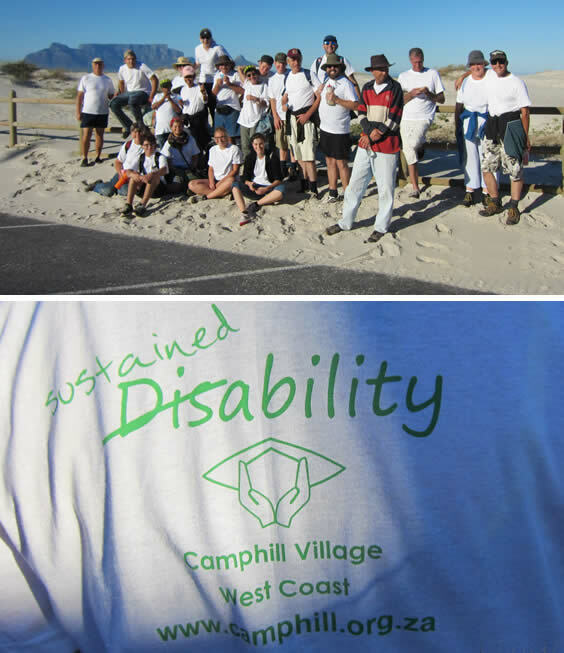 It was the night we would see Camphill on Kyknet TV and many had dressed for the occasion. As people finished their meals and found their seats, a roar of excitement rose as the generator arrived and the evening was saved. Now the room was lit up, TV on and people could barely contain their excitement. They spoke feverishly about who would be on and what would be seen, and as their smiles grew so did their anticipation. The first few minutes of the show was accompanied by excited chuckles, squeals, claims to fame and admiration. As the segment on Camphill began everyone leant forward perched on the edge of their seats! Each time a resident was shown, their name was yelled out, they jumped up and clapped their hands and received a few pats on the back from those around them. When all was said and done, a great time was had by all. We packed up, made our way home and went to bed. It was a good day! 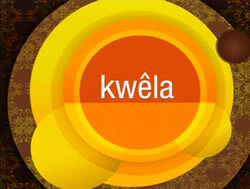 Thank you Kwela, Staff and Management of Camphill for this wonderful experience. 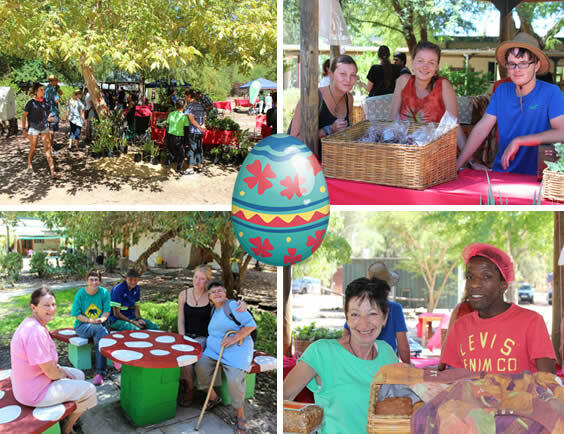 We now have a stall at the trendy Oranjezicht City Farm Market on the last Saturday of each month. The market is located in the heart of Cape Town, at the WC Premier’s Residence, Leeuwenhof, a stone’s throw away from Table Mountain. We are really pleased to be part of this outstanding fresh food market, and enjoy engaging with patrons who are passionate about organic and fresh produce. 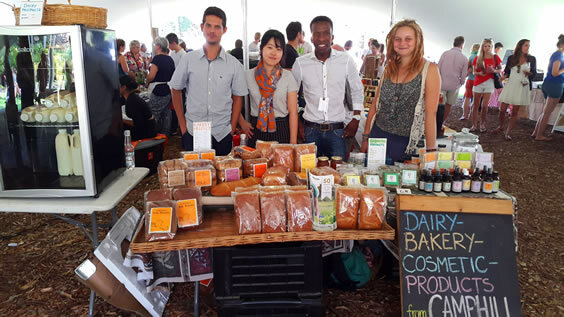 Our bakery, cosmetics and dairy products have been well received and it provides us with an amazing opportunity not only to display what Camphill has to offer, but also to engage with our customers and inform them that Camphill is about so much more than just producing organic products. This is not a treatise on Triskadekaphobia. On Friday 13th March, Malachite House decided to have a braaivleis instead of a bread supper. The fire was set up and ceremoniously lit. We all stood around like a bunch of renegade Apache warriors, waiting for the coals to reach the right temperature. Our ginger cat started stalking something in the long grass near the old reservoir, close to where we were braaing. Suddenly, a very irate Cobra raised its head, fully hooded and made a bee-line for a large Waboom. It appeared to be most upset that its dignity had been compromised. Right. Panic Stations! Residents were quickly ushered inside and then the animals were rounded up and corralled. By this time the Cobra had climbed to the top of the Waboom and now had to be removed as soon as possible.Rudi, the farmer, Elias and Nils – young co-workers, with house leader and Hendrik shouting advice from the sidelines, got to work trying to dislodge the gatecrasher from the tree. It was hilarious! Stones were thrown, crackers materialised from somewhere and were thrown, the hosepipe was pulled into the fray – more to cool down the hot and sweaty Heroic Snake Catchers than anything else. Finally after some effort, the cobra was captured and despatched to a place of safety for us and it. Needless to say, the braai was a huge success with the LARGE (approx. 1 metre’s length) Cobra as the main topic of conversation. Happy and exhausted residents wandered off to bed with full tummies and smiles on their faces, safe in the knowledge that that was one snake they wouldn’t find curled up in a gumboot on Saturday morning (it happens). Camphill has been blessed by a growing number of young volunteers and social entrepreneurs, generously giving their time to assist us. In March two young students from Westerford High School’s Interact initiative, gave up their Saturday to come help us decorate the space for our market. 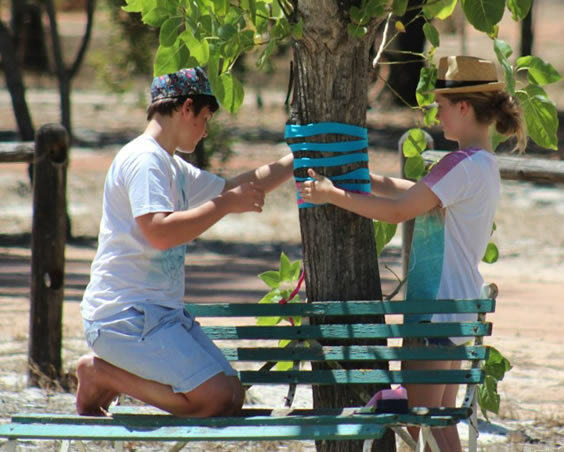 These keen young volunteers are participating in the President’s Award, a program designed to help young people achieve their dreams and goals, and which encourages them to take part in community projects that impact socially and environmentally. A group of 33 men from Bloubergstrand decided to observe the Global Day of Prayer for Men and to have their gathering in the Camphill Chapel. They made use of this opportunity to spend some time with our residents, who were then treated to boerewors rolls and salads. Camphill Cosmetics has designed an enticing new range of His and Hers herbal deodorants. The two deodorants are designed to suit both acid and alkaline skin for men and woman. 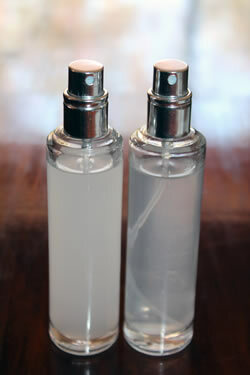 The scents enhance the skins natural acidity levels and adapt to each individual, developing for each wearer. Blouberg Dutch Reformed Church invited Camphill to join their walk to raise funds and create awareness for Echo Youth Development, an orginisation for youth skills development and job creation. 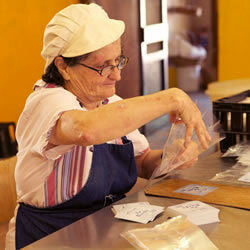 A worthy cause, and the special blessing for us at Camphill was to be able to give back, even in such a small way. 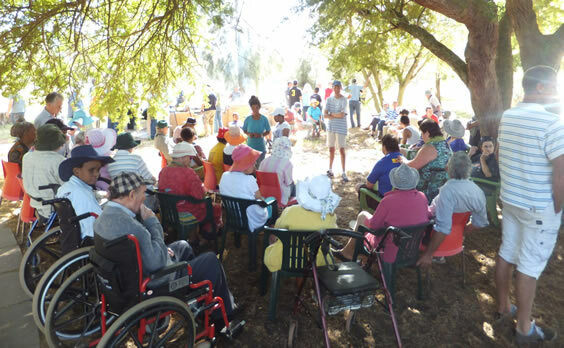 The 5km walk along Blouberg promenade on a beautiful sunny day with plenty of fresh air and exercise was enjoyed by all and even more the meeting afterwards at the Church Hall where there were plenty of yummy delights and a prize draw. Thank you to all at Blouberg Dutch Reform Church for the invitation; our residents are waiting in anticipation for the next one. The residents of Ibis and Egret led by young co-worker, Elias, house leader, Eastlynne, and resident, Glynnis, embarked on the mission of turning a sandy patch of land in their back yard into a luscious organic garden. They started growing their own vegetables and herbs and then took it a step further. 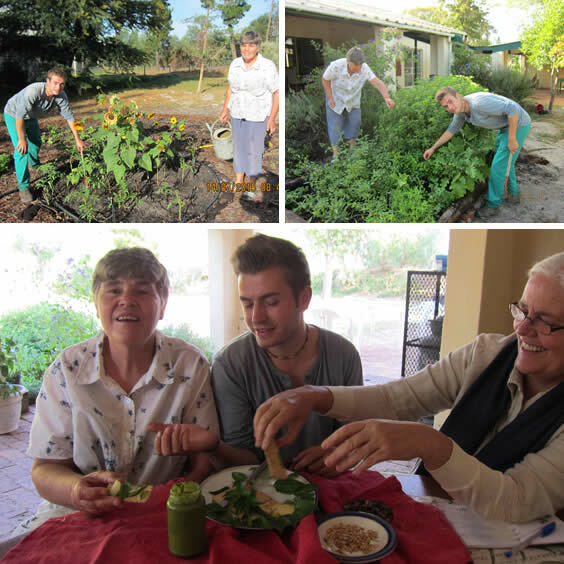 They have now produced their own home-made basil pesto with basil from their garden, pine nuts that they harvested from pine cones collected in the village, and cheese from our own dairy. Requests have already been made for them to sell this delicacy at the Camphill market. A short while ago the farm had a few more than three little pigs, so what happened to them? They went to the market. 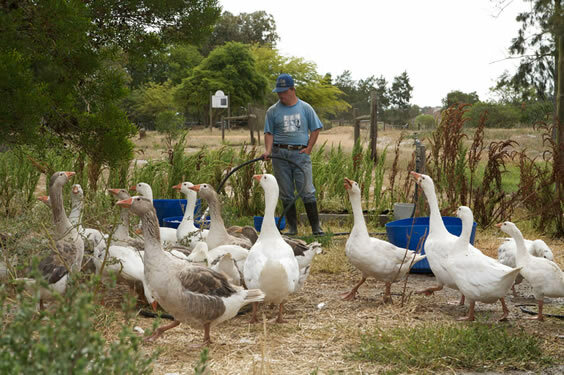 The gaggle of geese we had served as a natural alarm-system, but not anymore... our goose was cooked, and served with roast potatoes, veggies, gravy and salad. Regularly something “crops up” in our garden: broad beans, spinach, beetroot ,lettuce, carrots, also guavas, pomegranates, prickly-pears and granadillas. So we do enjoy the fruits (and veg) of our labours. Alex is actually just a whole lot of bull: he’s a massive Jersey, who when not “chewing the cud” keeps the cows happy. At the farmyard we have three tractors: a Case – tractor, used on Market Day to take people for a ride, and two Deere John tractors with which we have a “field day”. Ploughing the land and tilling the soil. We’ve never been sheepish, but at one time we did have a herd of goats, no kidding. The farm is also home to two giant tortoises. We don’t get to see much of them as they tend to move “house” quite often. Watch this space to check out what else is in the (irrigation) pipeline. I came to Camphill in 1973 after I had been working at Oasis for 10 years. My parents wanted to go overseas for two months, so they brought me here and I really loved it so much. I went back home for one month before I came for good. I stayed in Aquarius for 11 years with five different Group Home Leaders. I only worked in the garden, basket workshop and bakery. Now I’m retired but I go to the craft workshop in the afternoons. I love to play the piano and still take lessons every week. My big wish is to go once to Italy and visit my family.